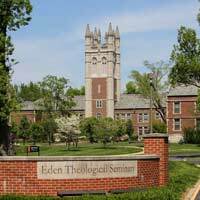 Webster University continues its partnership with Eden Theological Seminary and The OASIS Institute, a leader in adult continuing education and volunteer programs, to offer high-level learning opportunities for adults age 50+ in the Webster Groves community. Classes held on the Eden campus feature instructors from Eden, Webster and OASIS. Courses this summer include Don Conway-Long on the Syrian civil war Aug. 2 and Deborah Trott Pierce on the one-child policy in China on Aug. 8. Webster University has partnered with Eden Theological Seminary and The OASIS Institute, a leader in adult continuing education and volunteer programs, to create high-level learning opportunities for adults age 50+ in the Webster Groves community at no charge. Classes will feature instructors from Eden, Webster and OASIS.